a Christmas break in order to spend time with family. and a safe, prosperous NewYear. We will be back on Monday, January 3rd. Guatemala, Guatemala – The Guatemalan government has acknowledged that the Mexican drug cartel “Los zetas” has set up fortifications in the northern state of Alta Verapaz and is a strong presence in that area. The government of Guatemala has launched operations in the area to capture members of this narcotics operation, according to Presidential Spokesman Ronaldo Robles. Among the steps to be taken are the suspension of constitutional rights such as the right to organize and the right to protest. Under the public order, the government has the right to detain suspects to prohibit the carrying of firearms. As of yesterday more than 500 soldiers and agents of the National Police have launched 21 operations against criminal organizations in this area. Tlaxcala, Tlaxcala – An explosion in a Pemex pipeline caused by thieves stealing combustibles resulted in a tremendous explosion over several kilometers around San Martin Texmelucan, Puebla. At this time there are 28 dead and 52 injured. Hundreds of homes have been destroyed and families have been evacuated to safer areas. Rescue crews have responded to the area from Puebla, Tlaxcala and the State of Mexico. El Sol de Taxcala, reporting from the scene, stated that entire families have been lost in the conflagration. Ciudad Juarez, Chihuahua – Beginning next semester, the university in Ciudad Juarez will offer scholarships for children of police officers to assist the municipal employees and encourage a greater commitment to citizenship. Eight other institutions of higher education will also participate. The project will also include the children of fallen police officers. Admission will be given to 1600 students next semester. All fuel prices will increase this week. A gallon of gasoline is expected to rise to $3.85 and diesel to $3.49. 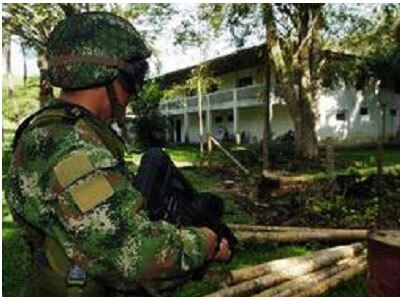 Guatemalan security forces captured four suspected members of the Mexican cartel Los Zetas in northern Guatemala. 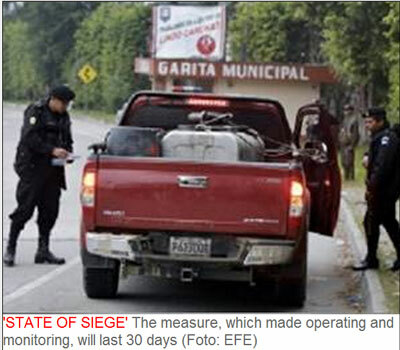 The government has declared a state of siege in that region where Los Zetas have established their main base. 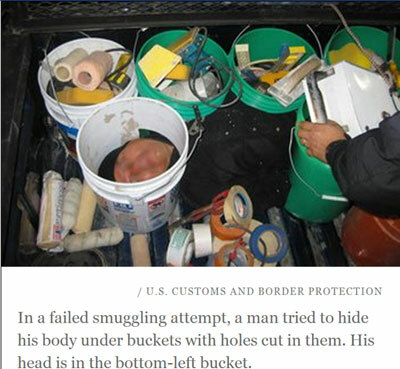 In the vehicle the traffickers were driving, weapons and ammunition were found and seized. The Zetas have been settled in that area for more than a year in order to control drugs coming from Honduras enroute to Mexico. A governmental declaration of siege is the same as martial law, and allows arrests without warrant and other actions to regain control. 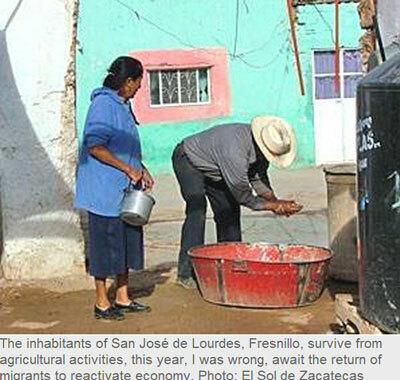 San José de Lourdes, Fresnillo, Zacatecas – A town resident said the most recent census showed a population of 7, 000 with 20 per cent living and working in the United States. Money normally sent from the migrants in the U.S. is down due to the economic crisis, and with crop failure this year due to weather, the town is depending on the returning residents and the February fair when a large number of people attend. Crop failure has caused more to leave, but the town is trying to support those that remain to work and solve the economic problems. Guanajuato, Gto., Mexico – This year fewer Mexicans are returning home (from the U.S.) because they have no documents to cross the border legally (to go back to the U.S.). Another factor is that the economic recession has not improved in the U.S. and they are afraid of losing their jobs. A government official said that those returning are expected to be 50 per cent less, and continued that although there is no official data, there has been less money sent (to Mexico by those in the US) due to the economic recession and no work in the United States. Jerson Enrique Camacho Cedeño, known as “El Flaco”, was arrested and is under an order of extradition by U.S. authorities. 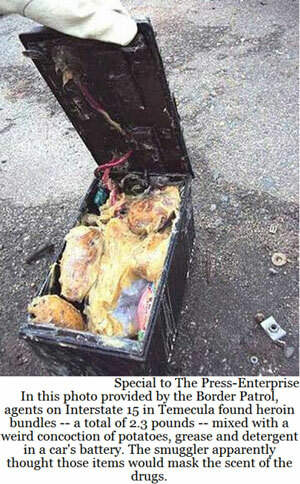 The arrest was conducted by the police, Colombian prosecutor and the U.S. Drug Enforcement Administration. As has become the usual, all media reported numerous killings, bodies found, with some tortured or dismembered. 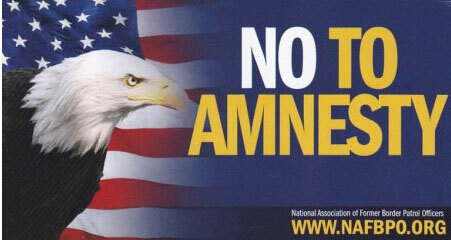 These reports start at the north with Tijuana and other U.S. border areas south into Central and South America. It was also noticed that much of the media had items on financial/economic factors affecting the local area(s) and countries. Mexico cannot control border: WikiLeaks documents -first they have to want to do so.